"A powerful, true story of life and death in a major metropolitan hospital...Harrowing... An important book." What is life worth? And what is a life worth living? At a time when America faces vital choices about the future of its health care, former NEW YORK TIMES correspondent Lisa Belkin takes a powerful and poignant look at the inner workings of Hermann Hospital in Houston, Texas, telling the remarkable, real-life stories of the doctors, patients, families, and hospital administrators who must ask--and ultimately answer--the most profound and heart-rendng questions about life and death. I could hardly put this book down until I was finished with it. It was not just eye-opening about how some of the ethical choices in medicine must be made, including the all-too necessary financial considerations. It showed how human doctors are and how difficult it can be for them to have to make heart-wrenching decisions in which there is no right answer, especially when it is clear that, no matter which choice they make, there is not going to be a good outcome for the patient. In spite of their training and attempt to insulate themselves emotionally from their cases in order to remain objective and professional, it's not always possible. Ms. Belkin's descriptions of doctors in tears was very moving, and proved to me that those people chose the right profession, because they really do care about their patients. 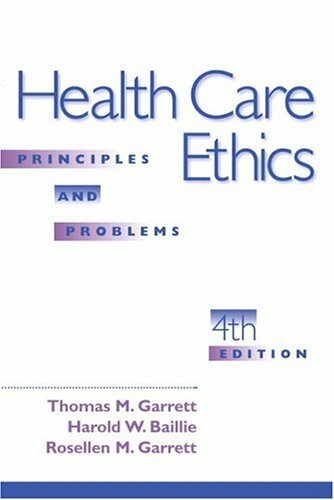 I found, by searching for them on the AMA web site, that a lot of the doctors in this book are still in practice in Houston (one is in Albuquerque). This search gave absolute credence to the fact that these stories are not fiction but about real people. This book will keep your interests suspended in a state where bed time no longer matters, reading it until it is done and the re-skimming the chapters. Based in my home town of HOUSTON, TX. It gives you perspective on the true heros of the health care system. This book has confirmed my interests in becoming a doctor and it will serve as a symbol of my ability to serve and my longing to be the best in the field of my choice. Having a child featured in this book, I have read it several times. Lisa did a fantastic job when she wrote this book. You will find it to be a very insightful book. Having lived through this ordeal myself, I know that Lisa tried very hard to make sure that her facts are real and accurate. If you enjoy stories about the medical field I trully believe that you will find this one hard to put down until you have finished it. I love books about the problems of the Medical community. This one was very good. The author included factual information along with true like human interest stories of real people in Houston, Texas in the 80's. I left this book at a book exchange at The Plaza Las Glorias in Cozumel, Mexico on 10-28-00 around 9:00am and it was gone by 11:00am. I would love to know where it went. I hope Amazon prints this. Frank Navratil's new book on Iris Diagnosis, "For Your Eyes Only" is a comprehensive, easy to understand study of Iridology, with over 200 colour slides plus diagrams and case studies for the beginner or advanced Iridology student/health professional. This book has been translated into several languages and is currently selling in Europe, America and Canada. "For Your Eyes Only" is one of the best books of its kind on the subject of Iridology. It is hardcover, full color on the best quality paper, 158 pages. ISBN: 80-238-7220-6.
this book not only explains and teaches the art of iridology but it so inspirational in terms of natural healing. I enjoyed every part of it and could not put it down once I started. A must read if you are into iridology or natural medicine. Frank Navratil writes in such a straight forward way that anyone can understand. The book is also excellent with hundreds of color pictures. I sincerely recommend this book as well as his others. An excellent resource for the beginner or advanced iridology student. It is full of hundreds of iris images and is written extremely well. It is one of the best books on iridology that I have ever read and I have read most of them that are available. Frank Navratil in his book on Iridology clearly explains to the beginner or advanced iridologist the importance of iridology as a diagnostic method. I have read many books on Iridology, I sincerely recommend this one. It has hundreds of iris photographs that are marked with various signs and there are also healing methods and lifestyle advice. Don't miss this one if you are interested in Iridology. This book offered a clear and step-by step description of iridology and what can be seen in the eye. The author Frank Navratil BSc. N.D. shows how wonderful the art and science of iridology is and what it can reveal about our health. I was amazed at what the eye reveals. 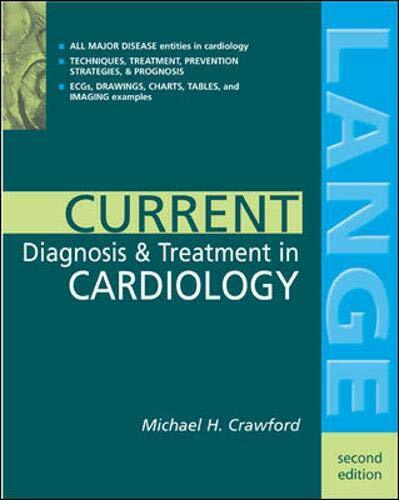 Well, although the title of this book contains the word "current" the latest study quoted on stents dates back to 1998. 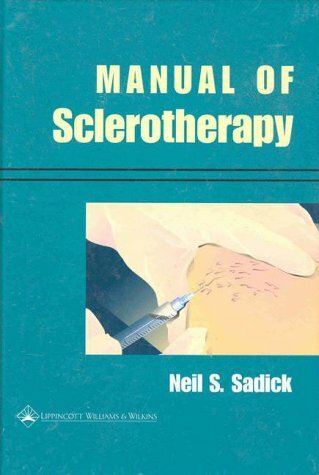 Thus, this "current treatment" book misses full five years of stent development and progress. Also, I have not found any quoted study from the years 2001 and 2002. 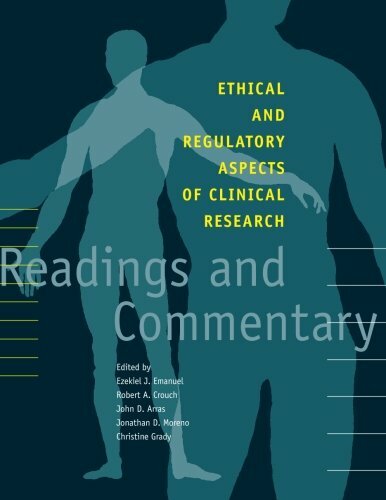 How can this book pretend to review current diagnostic and treatment strategies (the copyright of this book is from 2003)? This moderate-sized book is the most wonderful cardiology review I've ever seen. Take one without any hesetance. This well-written and beautifully illustrated textbook was designed for medical students. It is comprehensive: with each chapter sectioned into technical, anatomical and pathological sub-headings. "Clinical Radiology: The Essentials" embraced all aspects of diagnostic and interventional imaging techniques currently in use. It is a general mini-reference text whose aim is to provide students with all the tutorials that they may need during revision. Still, experienced radiologists would appreciate its concise outlook, which makes it an ideal memory-refreshing tool. I truly recommend this book to every medical student, specially to those doing a rotation in Radiology. 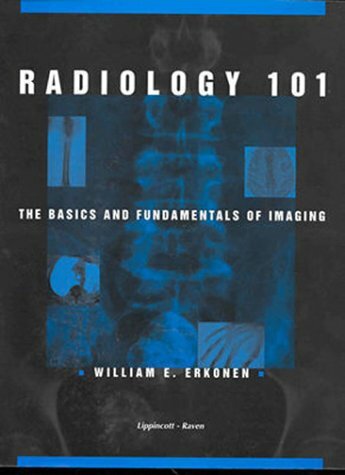 The book is marvelously illustrated with hundreds of big and clear photos of every diagnostic imaging modality currently used, showing the most important technical, anatomic and radiologic considerations one must have when ordering and evaluating an imaging study. 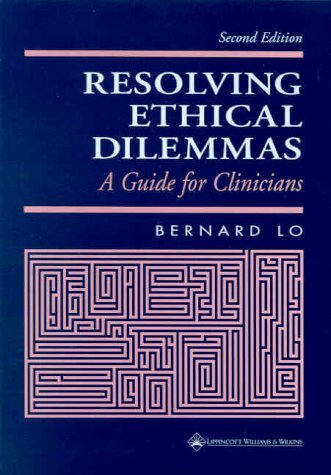 The book is very clearly written, goes to the point and takes into account almost every clinical situation one is likely to encounter in practice. I could even say it's enjoyable. 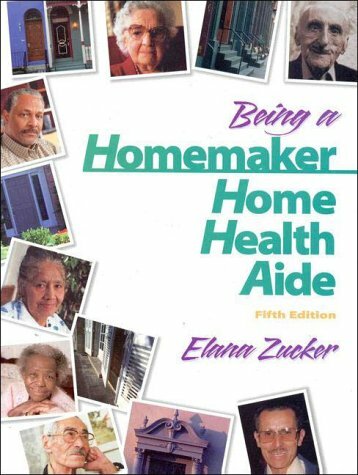 A completely revised edition of this guidebook for adult children who care for aging parents, with new information on nursing homes and an updated resource section. This helpful, compassionate guide for individuals who are involved in caring for aging parents, (and for those who see caretaking in their future) centers on the emotional stresses and needs of caregivers, while at the sametime addressing all the practical issues they are likely to confront.Claire Berman--drawing on her own experiences, the experiences of many other adult children, and interviews with specialists in geriatrics--discusses the wide range of emotions that can accompany caregiving. Caring for Yourself, While Caring for Your Aging Parents provides the confidence and practical tools necessary to balance the needs of the parent and the caregiver. 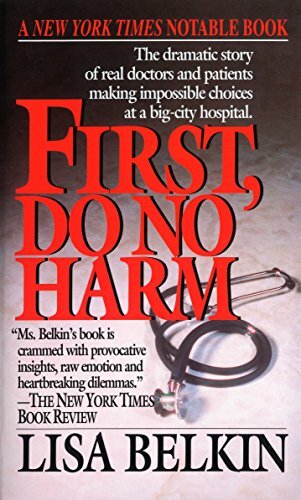 Berman provides an invaluable safety net for those going through a difficult time and emphasizes that the caregiver safeguard his or her own physical and emotional health to avoid becoming the burned-out "second patient. Berman shows how to choose dedication over martyrdom and self-preservation over selflessness. There is also sensible advice on common dilemmas caregivers encounter, including those involving adult day-care, in-home care, support groups, sibling tension, and marital conflicts. 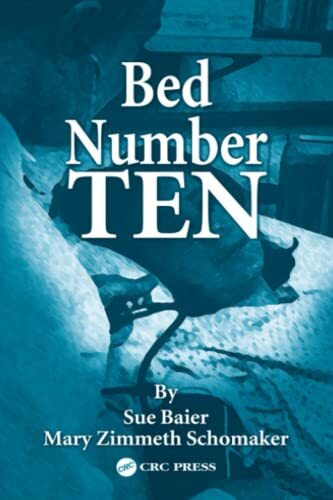 Completely revised with a new chapter on nursing homes, as well as updated statistics and resources throughout, CARING FOR YOURSELF WHILE CARING FOR YOUR AGING PARENTS shows readers that there is much they can do to help themselves and their parents through the stressful and humbling challenges that so many of us face today. Claire Berman's book speaks to my heart. As the child of an aging parent, I have come to realize that the difficulties I face as a caregiver are at least as much, if not more, emotional than physical. Her stories, whether directly related to my circumstances or not, address my raw emotions and help ease the pain. Her personal style of writing is unusually apt for those who are a parent's caregiver. She addresses care for aging parents from the perspective of a person who has made her own mistakes and learned from them. She writes as a friend rather than an impersonal "expert." I recommend this book for anyone who faces this demanding task. Claire Berman gives fabulous examples for all types of caregiver situations. The information is a valuable tool in handling a wide range of issues, from a parent's early needs, to full nursing care. The book aids caregivers with making medical and financial decisions for elderly parents and finding help in the community without jeopardizing your loved one's independence. In addition, it encourages the reader to find the right caregiver support group and keep a clear focus on your own family needs/priorities. 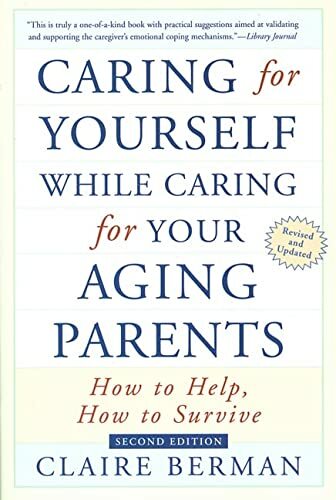 A most helpful book for reminding yourself how much your elderly parents would not want to be a burden to you, if they were still in their right minds. Lots of advice to make caregiving easier, well written, easy to read. Another great book is "Elder Rage" , which solves the nightmare dealing with difficult elders. Although my mother has some serious health problems, she's still in her fifties, so I hesitated at first to read this book. I thought there was no way it could be relevant to adults whose parents are ill but not elderly. I was wrong. This book was a godsend as my siblings and I scrambled around trying to figure out what we needed to do and how we could do it. I've referred to it again and again, not just for practical help with my mom's needs, but emotional support for myself. What a tremendous resource this book is. Here is the most comprehensive, reliable, and timely annual reference available to answer common questions in everyday clinical practice. Written in a concise, easy-to-read style, the text covers all aspects of outpatient and inpatient care as well as the latest developments in medicine. This is a "must have" text for any student of medicine. It has all the information one needs for ward rounds, presentations, and exams. Medicine is an ever-evolving field and this book keeps up with all the latest developments. The references are conveniently given at the end of each section so the student can easily look up the most relevant articles. I especially like the "Essentials of Diagnosis" that precedes each disease entity and summarizes the key points. 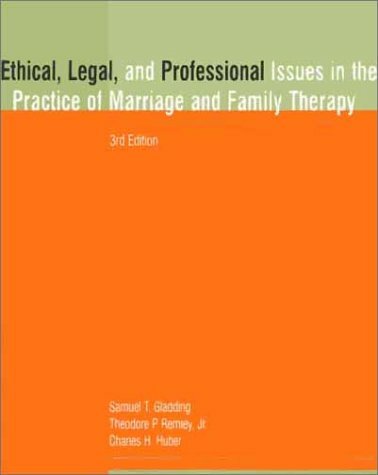 However this book is very much clinical/management-oriented. 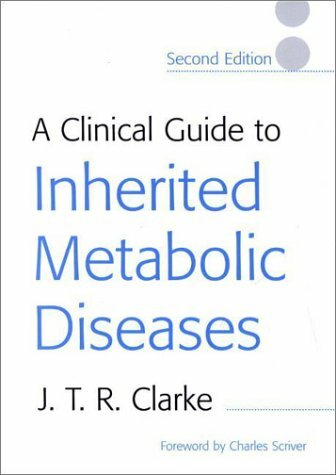 It does not have pictures/slides nor does it cover pathophysiology (for that, Harrison's is a better book). Current Medicine is right up there among the top few reference books. 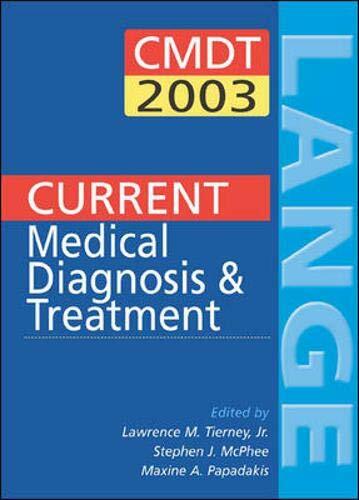 It has excellent chapters in Cardiology, Infectious diseases and Respiratory medicine. One of the key features is the references of the latest articles at the end of every topic that is covered. This is book is worth every cent that is spent to buy it, a truly productive investment of time and money....a must buy for students who want to ace their exams. This book packs in all the important aspects of client treatment into each section. The headings are a little hard to see when skimming, but the information is excellent. 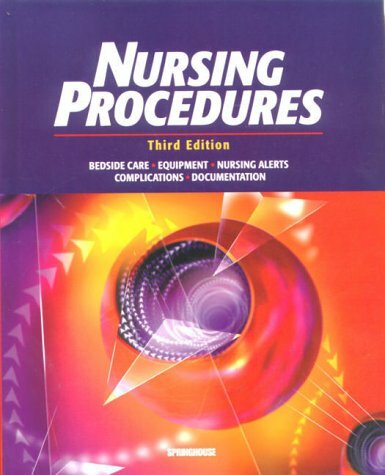 A must have for Nurse Practitioner school! 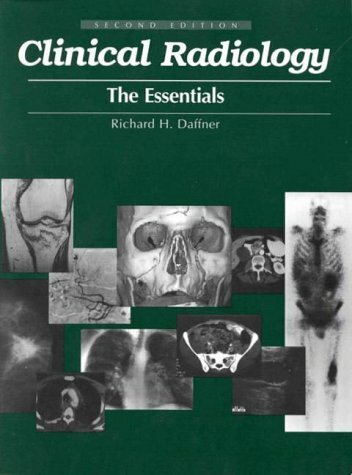 Very concise, covering a large number of conditions with information about clinical features, diagnosis and treatment... just the best medical book for students, residents and general prationers. Designed especially for hospital coders, hospital billers and insurance claim examiners. 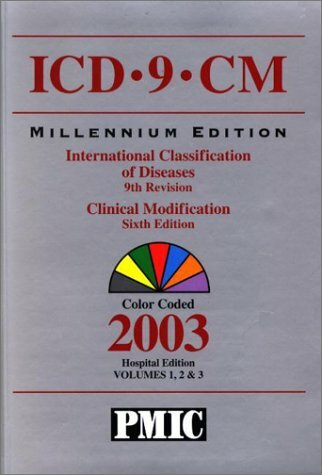 Includes ICD-9-CM Volumes 1 & 2 diagnosis codes and Volume 3 procedure codes in a single, compact, space-saving, thumb-indexed and color-coded book, with a comprehensive diagnosis coding tutorial and full-color anatomical charts. Putting Patients First is a complete guide to patient-centered care &mdash; the highly successful philosophy that has been championed and refined by the renowned Planetree Institute. 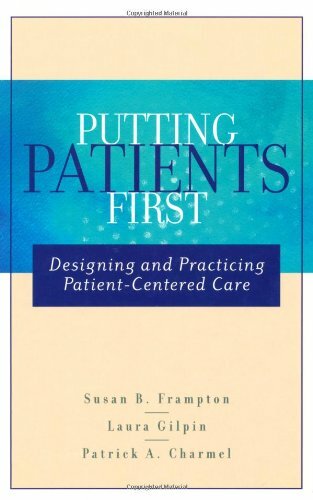 This important volume explains the origins and uses of patient-centered care and provides a practical approach to implementing it in any health care organization. Step by step, the book clearly outlines the elements of the highly successful Planetree patient-centered care model and includes the validating research. This much-needed resource shows how to apply these methods to the larger issues of health care delivery such as managed care, workforce shortages, patients; "right to know" legislation, and hospital marketing and branding efforts. Putting Patients First is filled with illustrative case examples drawn from hospitals and health care organizations that have successfully implemented the Planetree model.